Make yourself at home in one of the 42 air-conditioned rooms featuring refrigerators and microwaves. Complimentary wireless Internet access keeps you connected, and cable programming is available for your entertainment. Bathrooms have complimentary toiletries and hair dryers. Conveniences include desks and complimentary newspapers, and housekeeping is provided daily. Make yourself at home in one of the 43 air-conditioned guestrooms. Complimentary wireless Internet access keeps you connected, and cable programming is available for your entertainment. Bathrooms with showers are provided. Conveniences include phones with free local calls, and housekeeping is provided daily. Located in Kerrville, LoneStar Inn is within a 5-minute drive of Kerrville Convention & Visitors Bureau and The Salvation Army Ray & Joan Kroc Corps Community Center. This motel is 1.3 mi (2.1 km) from Sculpture Prayer Garden and 1.7 mi (2.7 km) from Kerr Arts and Cultural Center. Welcome to the Econo Lodge, a Kerrville hotel near Shonto Ranch The Econo Lodge hotel in Kerrville is ideally located in the heart of Texas Hill Country. This Kerrville hotel is close to area attractions including Kerrville-Schreiner Park, Picture Safari at Shonto Ranch and the Museum of Western Art. Schreiner University is only three miles away. Visitors will enjoy a variety of outdoor recreational activities like horseback riding, bird watching, golfing and tennis. The Guadalupe River provides tubing, rafting and fishing. There are several restaurants, cocktail lounges and specialty shops in the surrounding area. Solid Gold is located on the premises. Special features and amenities include free coffee and pastry in the lobby and free local calls. Guests are invited to relax in the deluxe courtyard with seasonal outdoor pool. This Kerrville hotel offers business travelers conveniences like free wireless high-speed Internet access, copy and fax services and competitive corporate rates. Banquet and meeting facilities are available to accommodate most events and business functions. All spacious guest rooms feature cable television with free HBO and Showtime. In addition to standard amenities, some rooms have coffee makers, hair dryers, microwaves and refrigerators. Non-smoking, handicap accessible and Senior rooms are also available. The hotel has coin-operated laundry facilities for guest convenience. 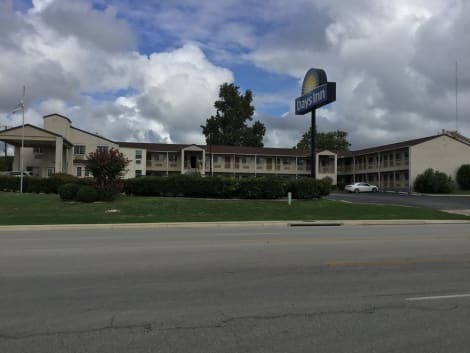 Whether traveling for business or pleasure, the Econo Lodge hotel provides friendly customer service, superior accommodations and affordable rates to everyone visiting the Kerrville area. Our friendly staff looks forward to your visit.